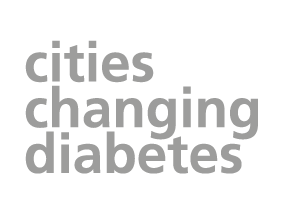 The Cities Changing Diabetes programme was developed to get cities worldwide to set goals and design interventions to drive down the number of people with Type 2 diabetes in their city. Meeting these goals requires working together across sectors and disciplines, uniting stakeholders behind a common cause. The world is rapidly urbanising, changing not just where we live, but the way we live. Today, the way cities are designed, built and run risks fueling the health challenges of their citizens. Urban environments are already home to two-thirds of people with diabetes. This makes cities the front line in the fight against Type 2 diabetes – and where we must take action to hold back the alarming rise of the condition. A lifestyle and activity programme to attract football fans has been launched by the Leicester City Community Trust to help encourage fitness. The launch event attracted the attention of local media, who ran the story about Leicester joining the global programme on BBC East Midlands Tonight. Leicester has officially become the first UK city to join a global campaign developed to raise awareness of and prevent type 2 diabetes around the world. Leicester was announced as the first UK city to join the Cities Changing Diabetes network in Autumn 2017. Leicester City is an ethnically and culturally diverse city in the heart of England. Of the city’s approximate 348,000 population, 50% identify themselves as being of white ethnicity, compared with an average of 87% across the rest of the UK. The remainder of Leicester’s population is made up of a range of ethnic identities. There are more than 70 languages and/or dialects spoken in the city including English, Gujarati, Punjabi, Somali, Urdu, Hindi, Arabic, Bengali, and Polish. Leicester City has a large socioeconomic spectrum, with areas of both wealth and severe deprivation, and is currently ranked as the 20th most deprived region in England. Leicester is home to one of the largest populations of people with diabetes in the UK, with around 9% of residents diagnosed with the condition – well above the national average. This equates to 28,434 people with a clinical diagnosis of type 2 diabetes, however, this is just the tip of the iceberg. Based on research in the city, there is an estimated 16,684 adults have pre-diabetes and a further 6,587 estimated to have undiagnosed type 2 diabetes. There are also a high proportion of the population who have risk factors for Type 2 diabetes. The prevalence of overweight and obesity in the city give cause for concern, with 55% of adults and 37% of year 6 children classified as overweight/obese. Leicester is a vibrant place to visit with many attractions. The National Space Centre is located in the city, which houses a space research programme as well as the remains of Richard III, the last English king to be killed in battle, being found in a Leicester car park in 2012 and now moved to the city’s cathedral. Leicester’s sport scene is thriving, being home to four top sports teams including Leicester Tigers, Leicester City FC, Leicester Riders and the Leicestershire County Cricket Club. Within its urban setting, Leicester City has 13 large parks, many smaller parks and gardens, 31 outdoor gyms and the river and canal watersides which are the ideal setting for health-related activities.